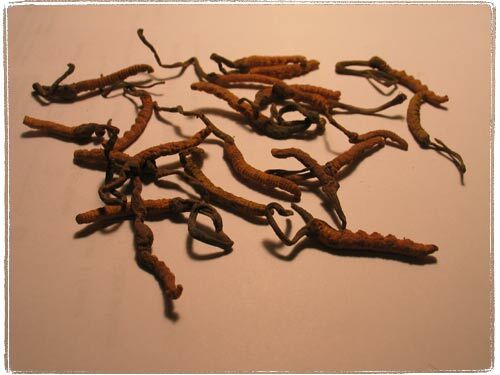 I wrote about the caterpillar infecting fungus called cordyceps, right? Well I went to one of the herbalist shops on Avenue U and purchased $40 dollars worth. In fact that was the smallest amount I could buy since the damned fungi cost about $200 an ounce. They smell faintly of chocolate and dust. The caterpillar part tastes like cardboard and dust. The protruding fungus has a tingly – sour taste, not unpleasant at all. I did not notice any health effect. Moving on. I also wrote about a corn infecting fungus that the Mexicans call Cuitlacoche. 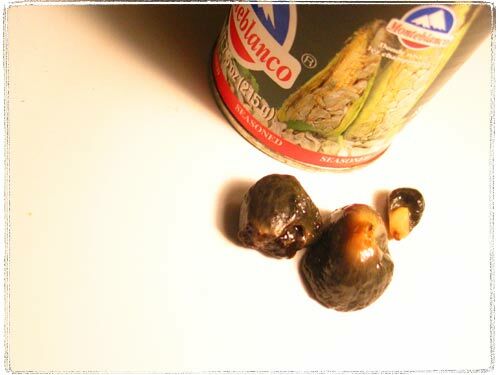 I ordered a can of Monteblanco brand Cuitlacoche through Amazon and Mexgrocer. The giant fungus infected corn kernels have a texture similar to slippery jack mushrooms and a slightly smoky flavor. The ingredients include onions , jalapeno peppers and epazote ( Skunkweed aka Wormseed, aka Mexican tea aka West Indian goosefoot aka Jerusalem parsley aka Hedge mustard aka Sweet pigweed which supposedly has “antiflatulent powers” ) which kind of make it hard to say what it really tastes like on its own.